I really feel like I have grown as a designer from being at The Allotment. Having just finished my second year of my sandwich course at university, it was time for me to begin my placement year down in the big smoke. What I have found so far from being out on placement is that every design agency has different values and views with a specific area they usually specialise in. The Allotment work a lot with charities and campaigns to help better people’s (and in some cases animal’s) lives. It’s inspiring to see the difference a bit of good design can make and working here I have been lucky enough to take part in two briefs that are both focussed on design for good. The Allotment is also a company with a strong reputation for good work and big creative ideas, so coming here as a placement I wasn’t expecting to be granted as much responsibility as I have. They really let you get stuck in and value your opinion with real hands-on problem solving. It has been an amazing experience and I will go back to university knowing I have learnt shed/allotment loads! 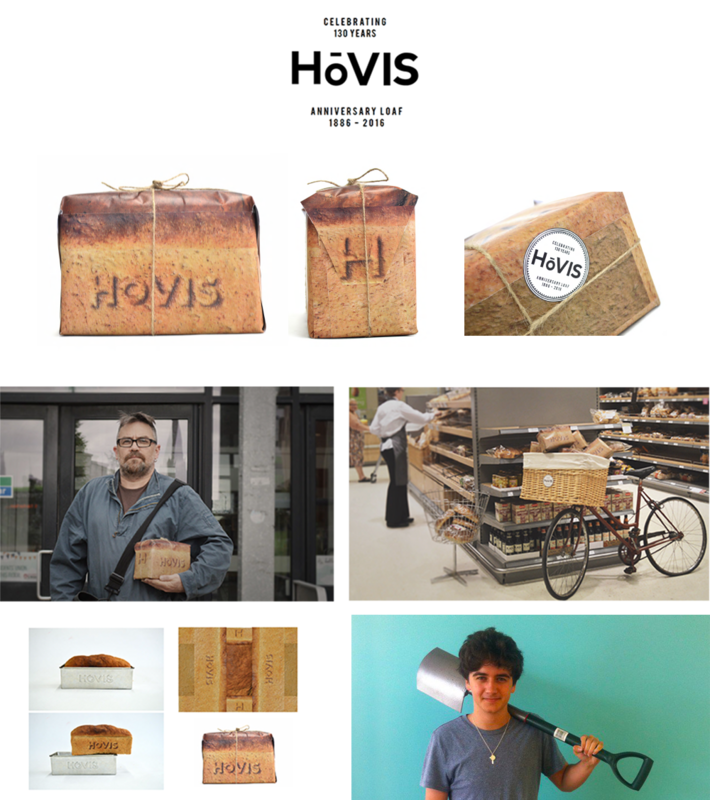 Hovis are celebrating their 130 year anniversary in 2016, so I decided to create a special edition ‘Anniversary Loaf’ packaging to mark the occasion. Hovis is already a nostalgic brand with a rich history. Their existing strap line ‘As good today as it’s always been’ also suggest this. I decided to transport Hovis back to the 1800’s juxtaposing past with present. Traditionally, Hovis loaves were sold bare with nothing but a bit of string and the logo printed on the side. I decided to replicate this with their new modern day packaging campaign. To ensure the Anniversary Loaf was completely authentic I used an original Hovis baking tin I purchased from an antiques store, I baked the loaf and then photographed for the packaging net.